This is one of my favorite books, it’s about this girl who falls in love with roller skating. Although her best friend isn’t going to roller skate with her she still does. This book is very interesting, read the book to find out what happens next. A girl named Astrid goes to roller derby camp and thinks her best friend Nicole comes with her but she doesn’t. Astrid lies to her mom that Nicole’s mom drives her back home. Nicole goes to ballet class. Will they Break up as being friends? Read the book to find out. 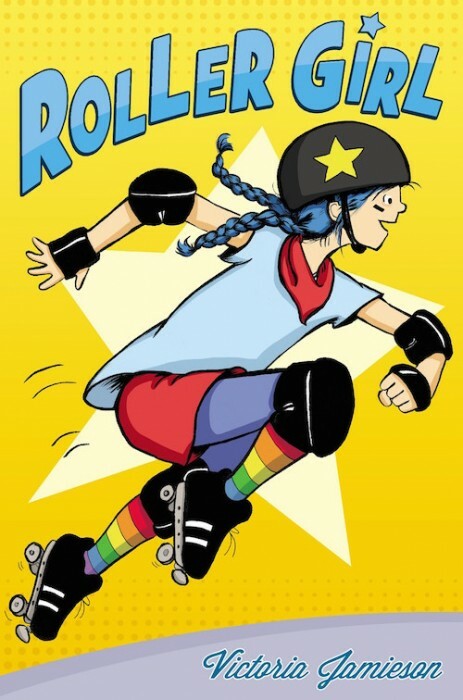 This cute and fun book is about a girl who falls in love with roller skating. But her friend isn’t so thrilled, and at the same time she’s not that great at roller skating. Read roller girl to find out what happens next! Ld read this graphic novel. the book is about a girl named Astrid who struggles with friendship with her so called friend Nicole. This book is about her figuring out who she can trust. This book is very dramatic. It has a lot of drama in it. The main character is Astrid and she loses two best friends. One of her best friend is Zoey and the other one is Nicole. Astrid loses Nicole because Nicole goes to a ballet camp and Astrid is going to roller derby camp. Nicole meets a new friend named Rachel at her camp who is Astrid’s enemy. Astrid then meets a new friend named Zoey at roller derby camp. After about 4-5 weeks, Astrid loses Zoey because Zoey wants to be a jammer at the bout, but Zoey is picked as one. Then, Astrid and Zoey make up. Astrid also has trouble with her mother and Nicole’s mother. That’s all I am going to tell you. You have to read the rest to find out what happens! It is a VERY good book! I love it so much! Be sure to read it!